Last year, peripheral maker Power A introduced the Android-gaming world to the MOGA controller system with a pocket-sized game pad with a clip for holding your phone. It's a nifty little device, but the game support wasn't quite as expansive as I'd like. Today Power A releases the MOGA Pro, a console-sized game pad with a clip for holding your phone and a stand for holding up your tablet. Now if the supported game selection could grow exponentially, we'd be getting somewhere. 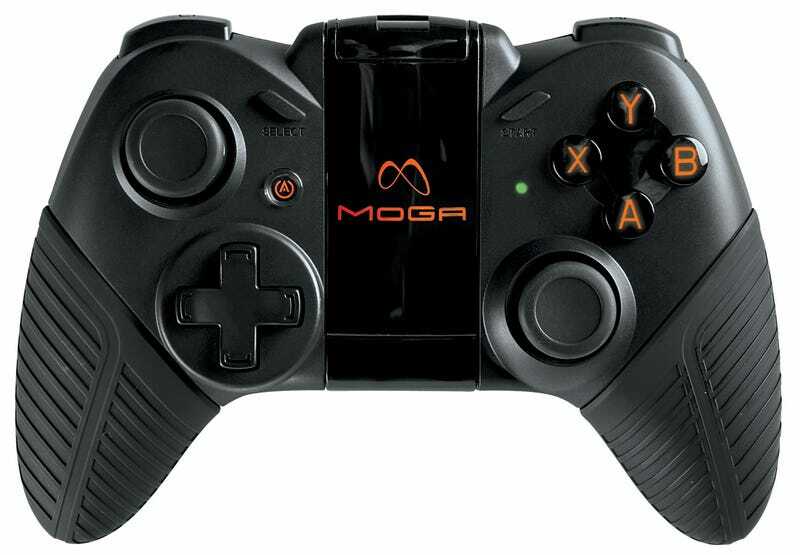 I've got one of the $49.99 MOGA Pro controllers on my desk here, so expect a full reckoning early next week. It works exactly the same as its smaller predecessor, connecting via Bluetooth and running with any game listed in the free MOGA Pivot app. They're up to about 60 now.